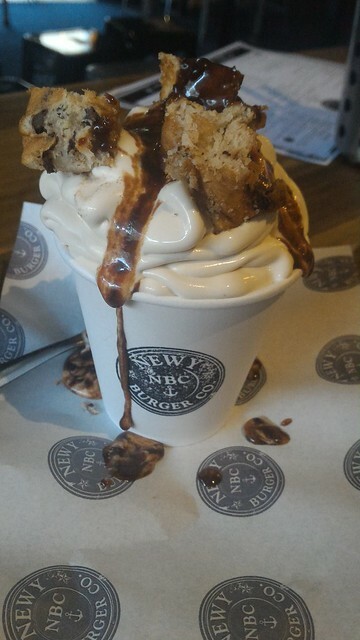 Newy Burger Co has moved west along Hunter Street, and is now inside The Cambridge Hotel, but they are still selling their awesome burgers, chips and desserts, delighting the locals. 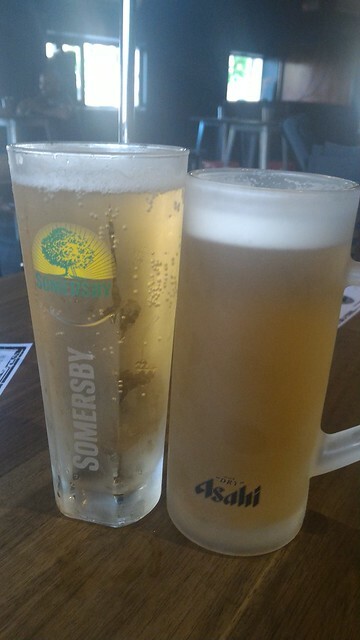 “Date Night” (aka my sennalink day) saw us glottoning down on these, waiting for the storm to come in. Above you’ll see Bruce’s Bar Beef Burger ($10). 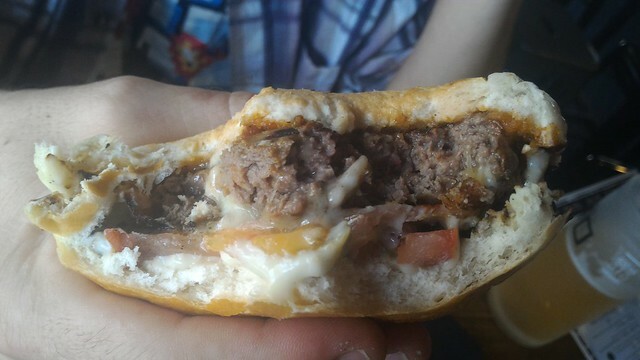 Bruce describes this as a “supreme BBQ cheeseburger experience” with its amazing patty and spicy jalapeno white sauce. 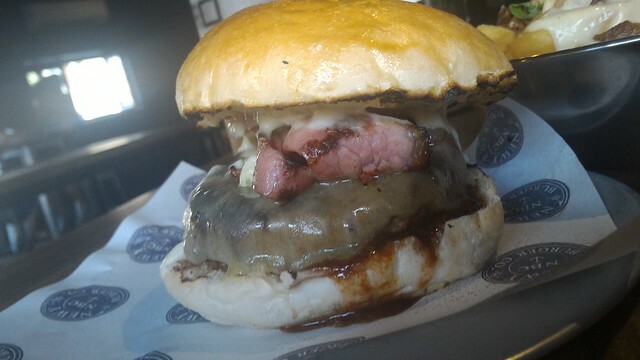 The innards of the Bar Beef Burger. Noms. 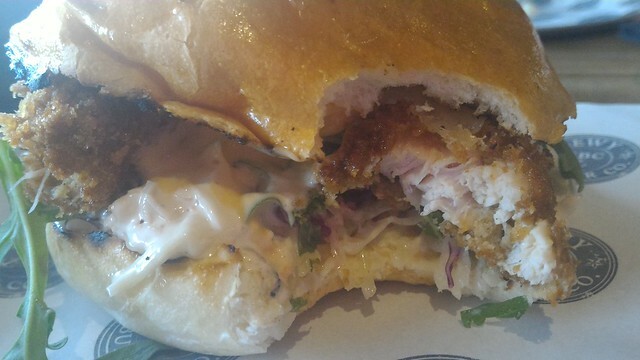 I went the “Stocko” ($10) – chicken, coleslaw, cheese, rocket and aoli. 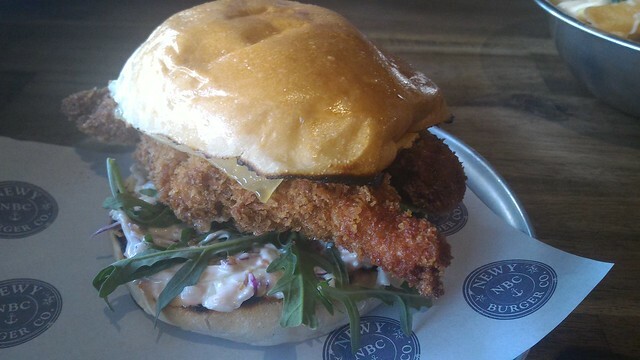 Quality ingredients to make this the only burge on the menu you can’t get gluten free. 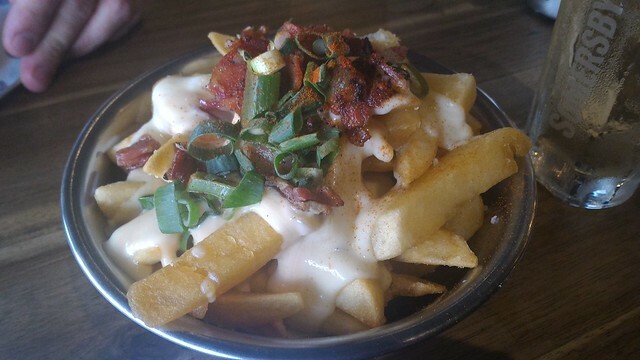 We talked ourselves into the “Dirty Fries” ($8) that were on the special menu last week – chips with two cheeses, bacon, cajun spices. So very naughty! See that topping? Looks like a puppydog in a food coma, I’m told. Which is how I felt at the end!